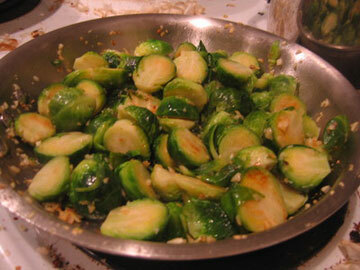 Steam the Brussels sprouts in a vegetable steamer until tender. Drain. in vitamins A, K, C and folic acid and contain cancer-fighting phytonutrients. brings 1.4g of omega 3’s. Pine nuts are a good source of Vitamin B1, thiamine. They are also full of vitamins A, C and D. They also contain more protein than any other variety of nut or seed.